Police have appealed for the public's help in finding Abdulah Husseini, who failed to appear at court accused of theft and four counts of fraud. 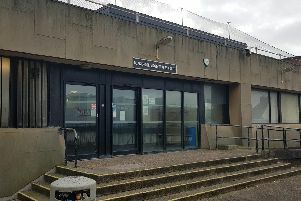 The 36-year-old, of Slough in London, was due to appear before magistrates in Blackpool last month but did not turn up and could now be anywhere in the county, Lancashire Police said. He was arrested by police following a previous appeal, which went viral after internet users claimed to spot a likeness between a man captured on a resort CCTV camera and David Schwimmer, who played lovable Ross in hit US TV sitcom Friends. That came after a coat, mobile phone, and wallet were stolen from Mr Basrai's restaurant in Talbot Road, Blackpool town centre, last September. A CCTV image, taken from a nearby shop and showing a man carrying a crate of beer, was uploaded to social media by police in the resort before being shared around the world. Many Facebook users posted references to some of Schwimmer's best lines from the show, with the actor himself later uploading a parody video to Twitter alongside the words: "Officers, I swear it wasn't me. As you can see, I was in New York. "To the hardworking Blackpool Police, good luck with the investigation." Mr Husseini was described as being six feet tall, and was also wanted by the Metropolitan Police after allegedly failing to appear at court to answer to a handling stolen goods charge, and and outstanding theft matter. Any information about his whereabouts can be reported by calling 101, quoting crime reference WA1822955.